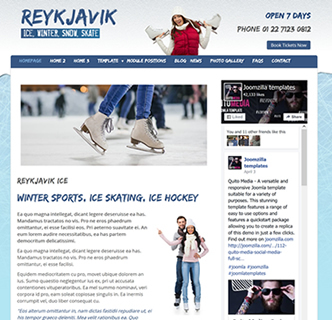 Reykjavik Ice is a stunning responsive template that works great for winter events such as Ice Skating, Ice Hockey or other winter attractions. 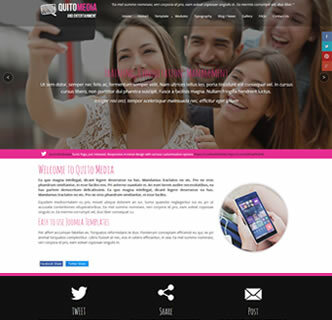 Its one of the best of most versatile Joomla templates of its kind. One of the most unique and best features is the option to change the style and appearance directly from the template manager options with the choice of 3 different backgrounds - or even better - it allows you to upload your own - your own full screen background! 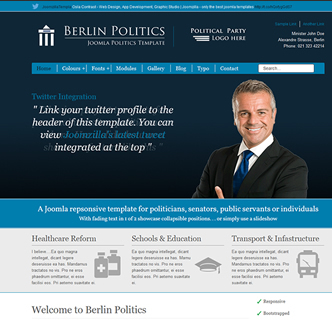 Test out the 3 included backgrounds in the 3 home tabs on the template demo. 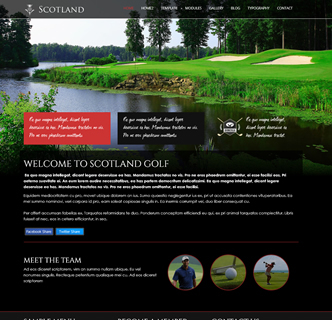 Other customisation options of this template include various colour options, a range of carefully selected fonts that match the theme, the choice of text or image as your logo, various social media links at the click of a button and 2 different template widths. The logo with this template comes packaged with the PSD allowing you to edit as you please and use for your own project. This winter/ice skating Joomla theme template is a responsive design built using the bootstrap framework, meaning it uses only Joomla's core framework and nothing but the template is required to get it functioning and setup on your server. 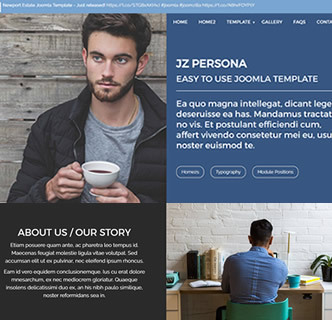 It's an easy to use Joomla template that is feature packed and comes with a user manual to get you started. This template comes with a quickstart package, meaning you will get a complete copy of this demo to place on your server. 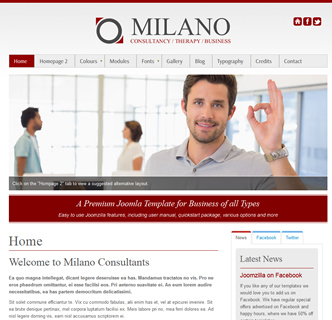 The instructions are all included in the user manual, which comes complete with this Joomla template.